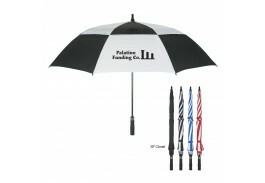 Turn your promotion into a walking billboard with a custom imprinted umbrella! 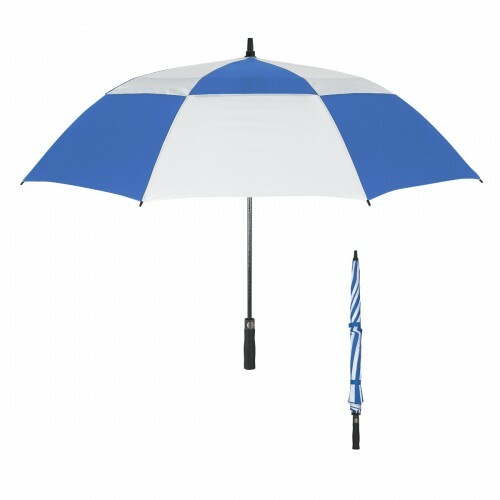 Customers will appreciate the thoughtful gift and will gladly tell their friends and co-workers about the personalized umbrella they received from your company. Measuring 58” when fully open, this automatic open classic nylon promotional umbrella is designed with a vented windproof canopy, fiberglass shaft and ribs, and an EVA handle to keep you dry and the umbrella intact. 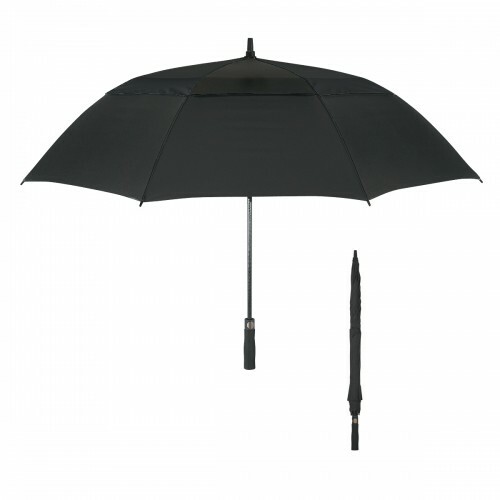 Available in Solid Black, or White with Black, Red, or Royal Blue, it closes to 39” for storage. Add your custom logo to the large 10" W x 6 ½" H imprint area and you are sure to be the talk of the town! 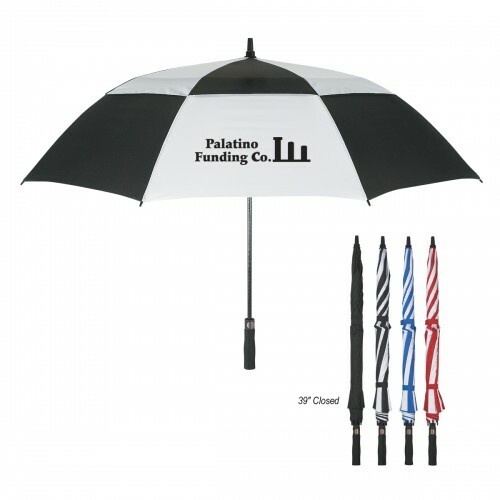 Customized umbrellas make a great promotion year-round as customer appreciation gifts, tradeshow giveaways, and event raffles. A one color imprint on one panel is included in the price.